Regular polyhedron is called a convex polyhedron if all its faces represent are equal, regular polygons, with each vertex converges to the same number of edges. There are five regular polyhedrons – the tetrahedron, octahedron, icosahedron, hexahedron (cube) and the dodecahedron. 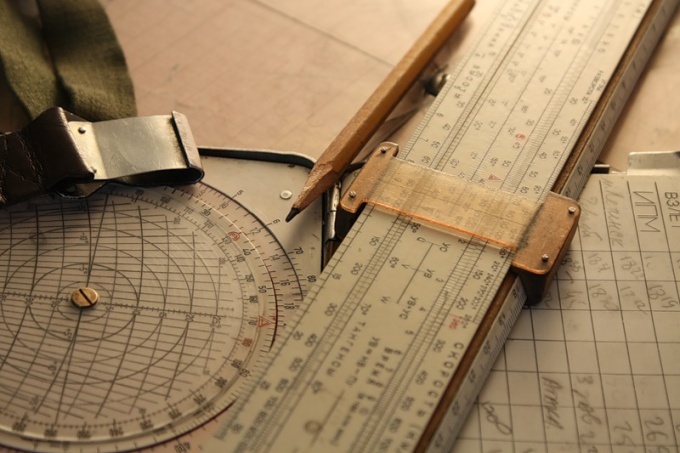 An icosahedron is a polyhedron the faces of which are twenty equal right triangles. 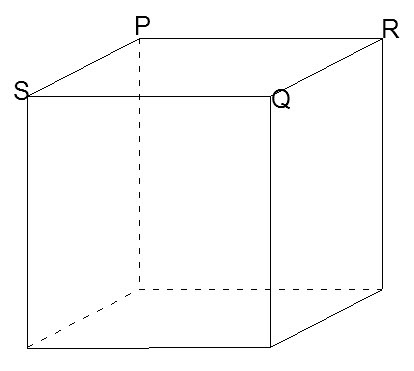 To construct an icosahedronand use the cube to build. Denote one of its faces, SPRQ. 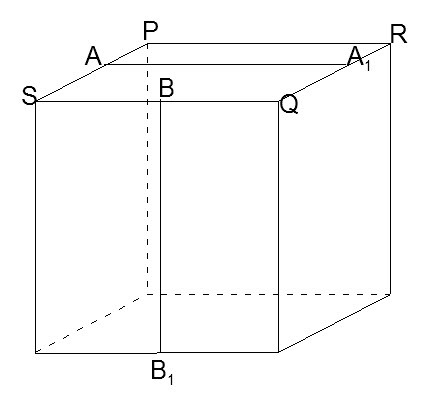 Swipe two segments AA1 and BB1, so that they were connected to the middle of the cube edges, that is, as = AP = A1R = A1Q = BS = BQ. 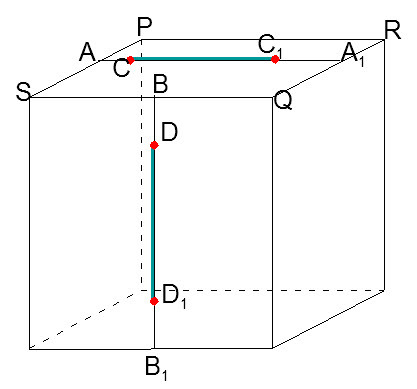 On segments AA1 and BB1 set aside equal periods of CC1 and DD1 length n so that their ends were at equal distances from the edges of the cube, i.e. BD = B1D1 = AC = A1C1. 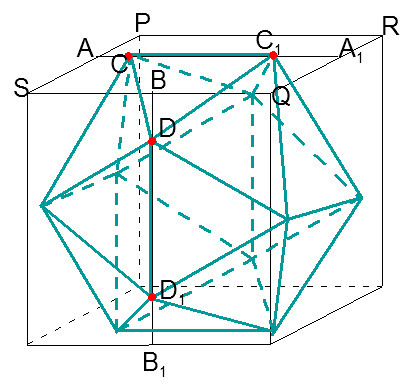 Periods of CC1 and DD1 is the rib construction of the icosahedron. 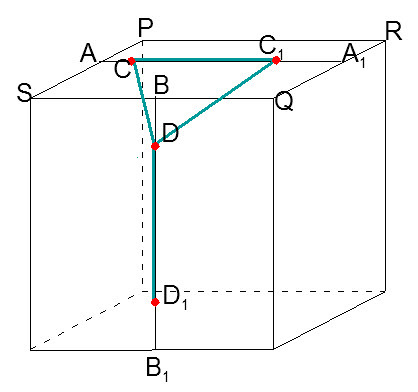 Constructing line segments CD and C1D, you will receive one of the faces of the icosahedronand – CC1D. Repeat building 2, 3 and 4 for all faces of the cube - the result is inscribed in a cube right polyhedron – the icosahedron. With the help of a hexahedron, you can draw any regular polyhedron.